El Candado Beach, in Malaga, can be found between El Candado Marina and el Peñón del Cuervo Beach. The beach, covered in dark sand, is 200 metres long and approximately 30 metres wide and usually has a moderate tidal swell. During the hot season, it is possible to rent sun loungers and sun shades. Its semi-urban location gives it a more intimate air and an unspoilt natural environment. It is considered as a good option for nudists. 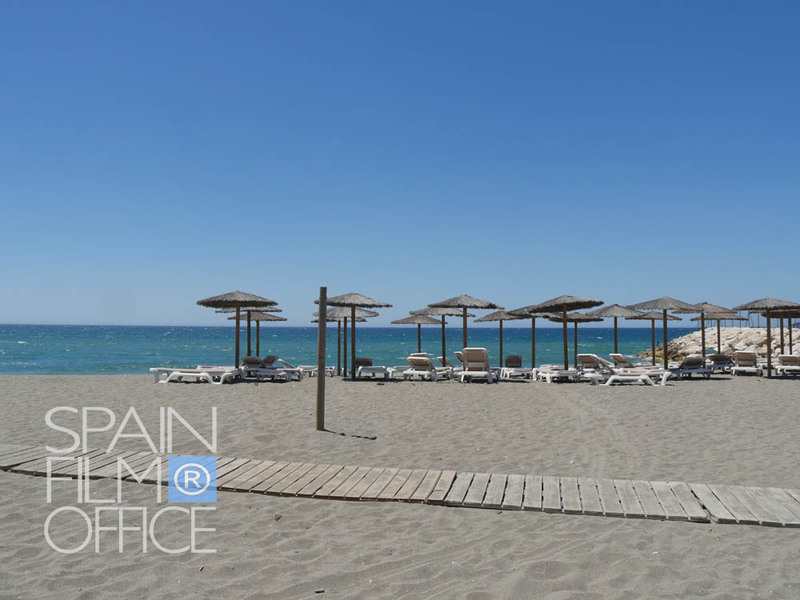 The Malaga Candado Beach is in a unique natural setting with a privileged location in front of the sea. The “seafood and Andalusian cuisine” menu combines the best of Andalusian cuisine with innovative cooking techniques. They specialise in rice. It is open all year. When summer ends, Candado Beach continues to offer a wide range of dishes, with fantastic promotions, theme-based days and weekends with irresistible Menus, activities and children’s workshops for the younger members of the family. It organises small and large events from family meetings, company conferences or the celebration of a magical wedding in front of the sea. The spaces can be adapted and modulated for a maximum of 200 people inside the main lounge and a total of 700 throughout the full complex. It is not only known for its cuisine, but also for its outstanding dedication in all of its services.